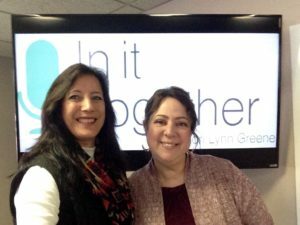 On today’s “Come Together” community segments, Robin Solomon joined Lori. She and her husband Eroll lead the Intercessory Prayer group at Hope Tabernacle Church in Manchester. Robin started off sharing about her reckless living in her younger days. Then in the most difficult time of her life, God found her when she had no prior exposure to Christianity. They continued with the lengths God will go for one person. Robin talked about God being “the builder of our life”, as she admitted her continuing trials that keep her dependent upon God. She added Paul’s example of understanding the purpose of sufferings. Furthermore, they talked about how to find God in the difficulties, and having God’s heart and mind. Finally, the talked about maturing, the kindness of God, his finished work, and learning how to rest, receive and respond. Tune in and hear more about it!